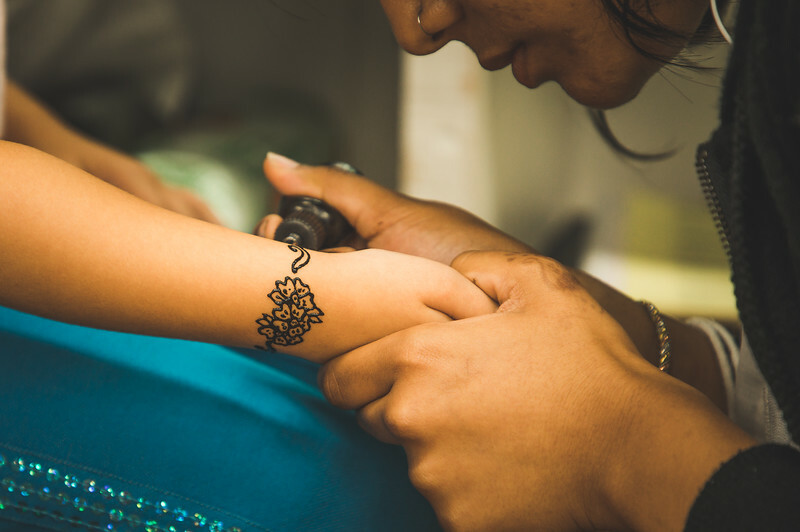 Every year the wife and kids get henna tattoos during our vacation in Ocean City, Maryland. The artists are really great at what they do, and they are great with the kids. On this trip we saw the same artist twice who was fantastic with our kids. It seems as if every year I come away with a photo that I like from the tattoo process. Sometimes the unexpected photo is my favorite one. On our last night in Ocean City I brought my camera with me as I always do just in case I come across something interesting. My daughter getting her tattoo qualified, and it was one of my favorite photos from the trip. Last week was a fun week of having fun in the sun. Vacation is always a time mostly spent with family, but also a little photography thrown in. To cap off the week we saw a great concert in Indianapolis. You can view my favorite photos from last week here on my Exposure page. Hope your family members aren’t allergic like I am to the henna. I wish I could show you some pictures of my chest right now I’m in so much pain.